Made from recycled money – from £0.31 per pencil. 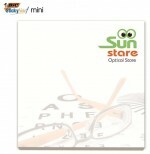 1 spot colour branding – from £0.66 per bag. Available in 1 colour print. 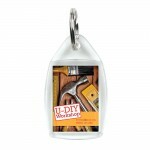 Personalise with your branding. A wide range of colours to choose from and great brand space. A huge range of branding choices. 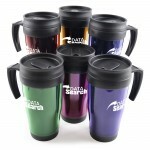 Available in a variety of colours and lid and sip cover included. There are up to four colour options available for this pound-shaped item. 5 colour options with two colour prints. BIC adhesive notes that can be fully customisable. Match your pantone colour and add your own branding. Your exhibition stand is all set to go and you’re ready to engage with your visitors… but hold on a second… where’s the freebies? We all know that visitors to exhibitions expect to be given free things. 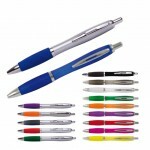 From the latest and greatest offers you have to stress balls and pens, they’re looking to come back loaded with swag. To help you entice visitors over to your stand rather than you competitors, we’ve outlined the key highlights as to why you NEED to use branded items for your next conference or exhibition. Brand recognition is really important in a person’s purchasing decision, so it’s important that your brand is seen and heard at events. But with so many other exhibitors, you need to make sure that you make a lasting impression on that person so that if / when they are ready to purchase, they choose you. One way of doing this is to provide a freebie. 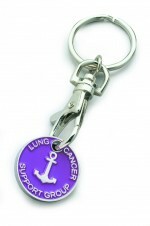 It’s a small token gift to make your visitor feel special and valued. Long after the event has finished, your freebie could still be being used by your visitors, so it’s important you choose wisely. When choosing your freebie, make sure you choose something that’s relevant to your brand or your customers. 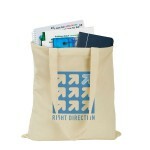 For example, a tote bag would be a great choice if you want people to advertise your business while they’re walking around the event. They can then pop all their other freebies into the bag. With the carrier bag charge in force, it’s also a great choice for B2C businesses as it’s likely to be reused for the weekly food shop! If you have a really useful freebie, then the chances are people will want to line up to come on-stand to talk to you about it. Power banks are really good for events as people can use them to recharge their phones while they’re on the go and are a bit different. Just make sure that your freebies aren’t right at the front of your stand as you don’t want people to grab and run. The aim of the game should be for them to talk to you before they are given the gift. That way you can check whether they are a potential customer and take any lead information you need from them before giving them the item.